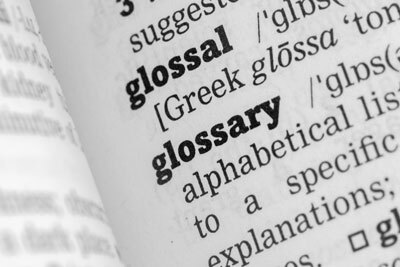 Every industry has its jargon, and the technology industry is no exception. As you read the Lynx Technology blog and read about the connected home, you will come across a variety of industry terms and acronyms. Here is a handy post that will help explain some of the more common terms you will most likely encounter. We hope it is a helpful tool for our readers. Ultra-high-definition TV is also commonly known as 4K although it is not technically quite 4000 pixels wide in resolution. UHD is the next evolution in television in terms of resolution, with increasing sales. Average Revenue Per User is a company's total revenue divided by number of customers. Increasing this number is a core goal for most service providers. Providing more media services and options can be one way to achieve that goal. Advertising Video On Demand is a subset of video on demand that includes services such as Hulu or Sony's Crackle. AVOD is often free for users, and the platforms rely on selling advertisements as a main revenue stream. See also VOD. Beaming is the action of sending content from one device to another, wirelessly and in real time. With the right hardware and/or software, it’s possible to “beam” a movie or song from a mobile device to stream on a TV screen or home entertainment system. Typically, beaming solutions use a connected TV as a window to the media content, and this content can be controlled by an app on a smartphone, tablet, or laptop. Perhaps today’s most popular example of beaming is Google Chromecast, a small device that lets a person viewing a video on a tablet watch that same video on a TV connected to Chromecast – the person has “beamed” the video from their tablet to their TV. "Cable" companies include traditional cable providers such as Comcast along with telecommunications companies (telcos) like AT&T that are offering cable services as well. Consumer Electronics manufacturers include hardware companies such as Apple, LG, and Western Digital. These companies make the hardware that consumers use, and need reliable ways to make sure that hardware can support rich media experiences. Content Providers, such as Paramount Pictures or Sony Entertainment, create the content people consume on multiple devices. These companies typically seek more ways to help consumers access their content, but also want to protect that content from duplication and piracy. Communication Service Providers, such as AT&T and Comcast, deliver telecommunications services to customers. This may include broadband, cable, or wireless services delivering all types of media, content, entertainment, and applications over networks. CSPs include the following categories: telecommunications carrier, content and applications service provider (CASP), cable service provider, satellite broadcasting operator, and cloud communications service provider. DIAL (DIscovery And Launch) protocol allows for discovery and launch of certain apps that are embedded on certain Smart TVs, allowing second-screen devices to discover and launch apps on first-screen devices. Lynx added DIAL APIs to its SDK platform to Twonky 8.2 to allow applications based on the SDK to discover DIAL-enabled devices, to verify if a certain app is installed on the device, and to get the app status (and if not running, to launch the app with parameters such as a URL). The Digital Living Network Alliance manages the DLNA standards for interoperability of image, audio, and video content. The DLNA “building blocks” can support various use cases that allow access, management, and consumption of media across different devices. Meeting DLNA standards covers a “base case” for consumer usage, but doesn’t necessarily represent everything a company must offer to stay competitive in rich media. Digital Media Adapters give PCs, Media Centers, DVRs, Home Servers and other equipment the ability to transfer and display digital content to and from other consumer electronic devices such as TVs and stereos. Users can remotely access and share photos, music, video, and other protected content over a network. Typically the connection to the network can be wired or wireless. Digital Media Receivers and Network Media Adapters are considered more advanced DMAs. Digital Media Controllers are certified by the DLNA as capable of communicating with and controlling other connected home devices. Learn more about Digital Media devices certified by the DLNA here. A Digital Media Renderer can source content from other DLNA devices, in particular a Digital Media Controller. These could be anything from televisions, audio/video receivers, video displays, remote speakers and so forth. This term is often used to refer to devices, such as Chromecast or Roku Streaming Stick, that allow consumers to “beam” media from one device (often a laptop, mobile phone or tablet) to another (often a TV). As beaming technology evolves, dongles may proliferate but may also be subsumed into other devices, like mobile phones. Digital rights management is the practice of imposing technological restrictions that control what users can do with digital media after it’s purchased. For example, a CSP might include software on its movie files that limits the number of copies a user can make, or prevents copying entirely. A digital subscriber line connects subscribers to internet services using the same lines as phone services. An asymmetric digital subscriber line (ADSL) is the most common type of DSL service, which involves more download capability (less upload capability) of data to the user, hence the asymmetric characterization. Symmetric DSL (SDSL) is less common but available for those. Very-high-bit-rate digital subscriber lines (VDSL) represent DSL service that supports very large file types or streaming media. DTCP-IP is a DRM standard (specified by the DTLA) that encrypts digital connections to protect content in transit. Designed for the connected home and devices such as DVD players and TVs, DTCP-IP requires proximity, but enhancements like DTCP+ allow remote access. The Digital Transmission Licensing Administrator manages licensing for DTCP content protection technology. A digital video recorder such as TiVo lets users record TV shows to watch later, which is often called “time shifting” of viewing. These devices are more popular in certain markets, such as Japan. In the US, subscription video services are beginning to replace DVR, although most U.S. cable and satellite companies have set-top boxes with embedded DVR capabilities. Electronic sell-through refers to selling video content online by assessing a one-time fee to download and own a media file. This is the model used by the iTunes Store, Amazon Instant Video, and similar marketplaces. EST is currently being challenged by OTT streaming services, but adoption of the UltraViolet and other digital locker standards may enable users to own content as well as stream it. High-definition television includes various high-resolution screen displays ranging from about 1 to 2 megapixels (MP) per frame. When introduced, HDTV represented an advance over standard definition (SD) TV. HDTV has become the best-selling TV in the U.S. and throughout much of the world. Internet protocol – a technical foundation for many online communication methods, including DTCP-IP, IPTV, and VoIP. Internet Service Providers are organizations that provide services for accessing the Internet. Internet protocol television is a way to deliver HD TV online that encompasses live, time-shifted, and VOD. Various services such as Verizon FiOS and AT&T U-Verse provide IPTV to consumers, and companies can use IPTV to develop content solutions for media devices such as Roku. Long-term evolution is a standard for wireless data communication on mobile phones and data terminals, and represents an expansion on previous GSMA standards. While many modern smartphones support 4G, or fourth-generation LTE, standards for 5G LTE are in the works. A mobile network operator is a wireless service operator, such as AT&T, Sprint, or Verizon, that provides wireless data and voice services to consumers. Multiple system operators include traditional cable or satellite operators such as Comcast, DirecTV and Time Warner Cable. Network attached storage devices are connected to a home network and can store media for usage anywhere in the home. These may include smaller portable hard drives or larger servers capable of storing more data. While the overall trend is toward cloud storage accessible from anywhere, many people still prefer to maintain control over their content by storing it on personal NAS devices. Net neutrality is the principle that all entities, particularly ISPs and governments, should treat all online data and content equally in delivery to end users. This means not charging more for providing faster or better quality service based on user, site, content, platform, or other factors. An over-the-top service delivers content through a channel other than traditional cable services. These can include web-based media services like Hulu or Netflix, delivered online; DMAs such as Roku or AppleTV; or even gaming consoles. DirecTV and DISH are examples of satellite TV companies, which deliver television programs to subscribers via communications satellites to an antenna and receiver (often built into an STB) combination in the subscriber’s home. In contrast to EST, which involves purchasing and downloading content that can be watched later, a streaming model generally requires users to subscribe to ongoing access to a streaming music or video service, where the content is streamed online in real time but not available for offline use. A set-top box is a device that converts signals to be displayed on screen and may offer supplemental features such as program menus, favorites, recording, and more. These are typically provided by cable companies and satellite providers to subscribers. STBs are devices that are connected to televisions at home. They connect a TV to an external signal source (cable, satellite, broadband, telephone, or DSL) and morph the transmitted signal into video content that displays on screen. Both standard definition (SD) and high definition (HD) STBs are available. HD STB offers high definition viewing and may also feature interactive services such as VOD, video conferencing, high-speed internet television, and/or home networking. Subscription video on demand is subscription-based movies/programming that provides users with unlimited access to specific programming for a regularly charged fee. It's in contrast to TVOD, where users pay per viewing. Telecommunications operator. This term focuses primarily on traditional voice telephone services. While telcos still have some industry dominance, they are losing ground to many OTT services. Many Telcos are also moving from voice to internet services and emphasizing content delivery to increase ARPU. An initiative to provide access to TV content online, designed for existing TV subscribers. Transactional video on demand is the opposite of SVOD. With transactional VOD the customer pays for each individual video on demand program. Secure TVOD authenticates to the video server to verify payment and authorize based on IP address. With its opposite, SVOD, typically the subscriber pays a set amount, (often monthly) for a set amount of video on demand. Now most refer to transactional VOD simply as VOD. Ultra-high-definition TV is also commonly known as 4K although it is not technically quite 4000 pixels wide in resolution. UHD is the next evolution in television in terms of resolution and sets are commercially available now. Universal Plug and Play is a feature that allows the devices on your home network to discover each other and access certain services. UltraViolet is a free, cloud-based, digital rights library that allows users of digital home entertainment content to stream and download licensed content to multiple platforms and devices. The UltraViolet ecosystem embraces a "pay once, play almost anywhere" approach that allows users to store proofs-of-purchase of media rights in an account to enable playback of licensed content on different devices using multiple applications, and via different streaming services. UltraViolet also allows users to share access to their library with up to 5 additional people, and 12 different devices, with up to three simultaneous streams. UltraViolet is deployed by the Digital Entertainment Content Ecosystem, an alliance of 85 companies that includes film studios, retailers, consumer electronics manufacturers, cable TV companies, ISPs, network hosting vendors, and other Internet systems and security vendors, with the notable exceptions of Disney, Google and Apple. Video on demand services allow people to watch content after broadcast, rather than live. These may include subscription video on demand (SVOD) services. Voice over internet protocol services allow users to have voice conversations over the internet.